Today I am kicking off a series of posts that touch on something that has made a big difference in my life. Specifically I'll be talking about The 5 Love Languages, and ideas to speak them with the whole family! Just FYI I'm adding affiliate links to this post. The Five Love Languages books by Gary Chapman are about a way to help you give and receive love. If you have not read the book, find the one that applies to your life and read it. These posts are not meant to take the place of the books. They are merely a source for ideas to help you execute them in real life. The books each share a lot of background about each of the 5 Love Languages as well as how to determine your loved one's love language. That's not covered here! And it's immeasurably valuable. If you're in a rough patch in your relationship or your child's behavior has changed recently, there's a good chance you're not speaking his or her love language. It's entirely probable that it's different from yours, which means you may be showing love in a way that makes YOU feel loved, but may not make your loved one feel loved. So, read the book, figure out what matters to your loved one and then come on over for tons of ways to show that love. There are separate editions of the books geared towards couples, children, teens and singles. 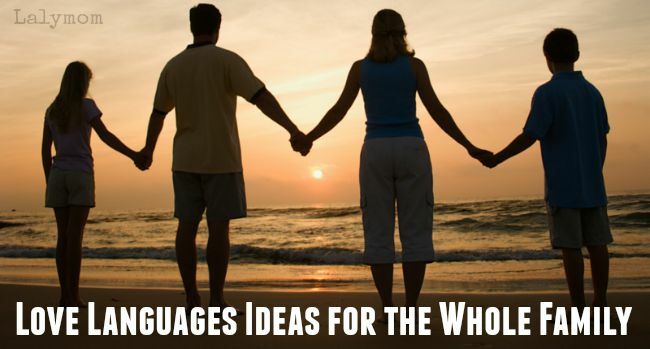 If you already know your loved one's love languages then scroll on down to get real life ideas and inspiration to start speaking their language! Each link below will take you to a post about a specific love language, for a specific family member. They are being rolled out over time so if you don't see the link yet, sign up for my Monday Morning eMail and you'll be the first to know when they are posted! It'll include a heads up about the Love Languages Posts as well as healthy parenting tips, kids crafts and activities and more. Each of the love language posts below will also have a shorthand printable for you to print out to keep handy. So you can read about each idea but then have a print out in case you need an idea on the fly. If there is no link yet it means that post is coming soon! 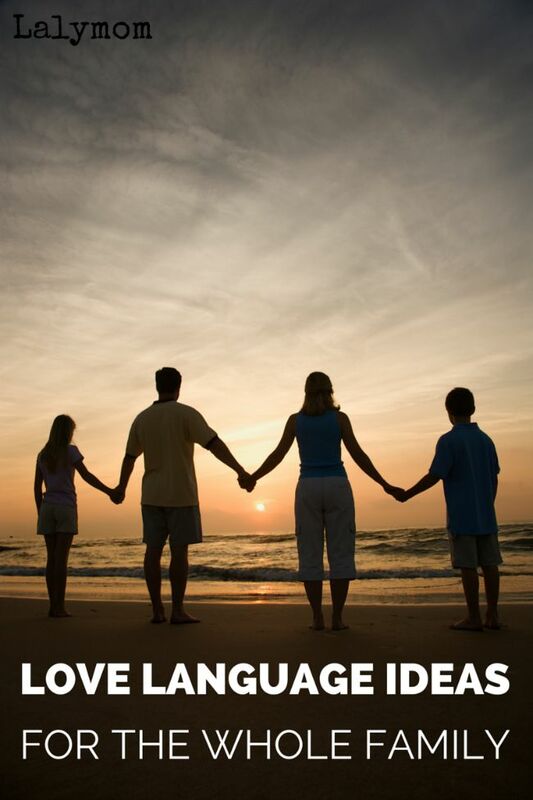 Looking for ways to speak love languages to your kids? Some love languages will come easy to you and some you will have to work harder on. You are probably speaking many of them already and you may not know it. For example, every night at bedtime I sit with my toddler in my lap, read two books and then tell him I love reading books with him. That speaks physical touch, quality time, acts of service and words of affirmation. I'm just missing gifts, but I'm not planning on getting him a new book every day. We will just speak that language another time. If you want to speak your husband's or boyfriends' love language, check out these ideas. To learn ways to show your wife or girlfriend love using the 5 Love Languages, check below. What are your top ways to speak the Five Love Languages to your loved ones? Let's hear about it in the comments!